A trilogy of titanic mini-reviews in this week’s Longbox Shortbox! Batman is one of the most malleable characters in comics. 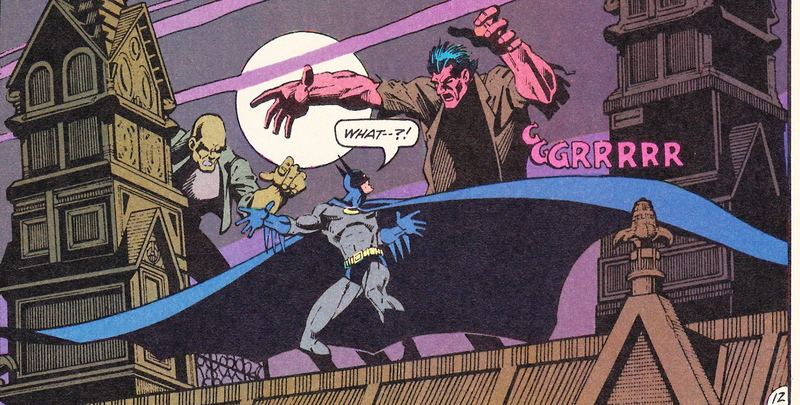 The Christopher Nolan interpretation dominates the contemporary imagination, but Batman began as a grim, murderous pulp character, and served time as a whacky Silver Age science hero and as a sometimes cartoonish gothic screen vigilante before morphing into the current Dark Knight that audiences know and love. While the flashpoint for Batman’s current incarnation was clearly Frank Miller’s seminal 1986 series Batman: The Dark Knight, the transformation from “Batman” to “The Batman” arguably started a decade earlier in this late-1970s run in Batman’s companion comic, Detective. This is a stylish series of Bat tales from several creators, including Len Wein and Walter Simonson, but the most lasting impression was formed by the team of Steve Englehart and Marshall Rogers, knocking over the first domino leading to the Batman of today. Like many successful writers, Steve Englehart doesn’t shy away from claiming credit where it is due. Over on Englehart’s page you can read about how he feels this series reinvented Batman for modern audiences, shedding the image of the Biff-Bam Adam West/TV era and leading the charater into the Dark Knight era, later popularized by Tim Burton’s Batman (which Englehart notes is based on his run). I’m not enough of a Batman scholar to verify these claims, but reading these books in the late 1970s, they felt like a breath of fresh, gritty Gotham air. Marshall Rogers’ pencils are thin, tight, and detailed, with a solid sense of draftsmanship that made the cars and buildings of Gotham City seem real. In an era where Marvel and DC really cranked them out, the work of detail-oriented artists like Rogers and George Perez popped off the page. The look of the series is more modern than Englehart’s scripting, which on review seem more rooted in tradition than that author would allow. His Penguin story, in particular — with it’s museum exhibit robbery and wordplay clues left by the villain — feels very much a Silver Age story. But there are also emerging elements of the a more grim and gritty Batman, who runs afoul of Professor Hugo Strange, sending Batman on a bad trip and compromising his identity as Bruce Wayne. The series is also notable for Bruce’s adult relationship with Silver St. Cloud, who intelligently recognizes Bruce beneath Batman’s cowl the first time she sees Batman in the wild. 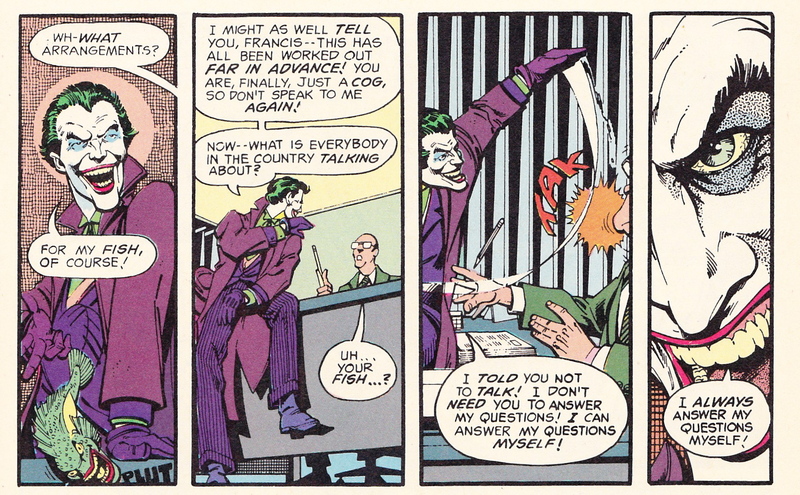 It is the Joker story that is best remembered from this run — and the imagery is vibrant, with Joker-faced fishes showing up as the herald of the Joker’s crazy plan, and the Joker himself deftly cast as a deranged, murderous lunatic obsessed with his impossible, insane crusade to secure royalties on every fish in the sea (!). 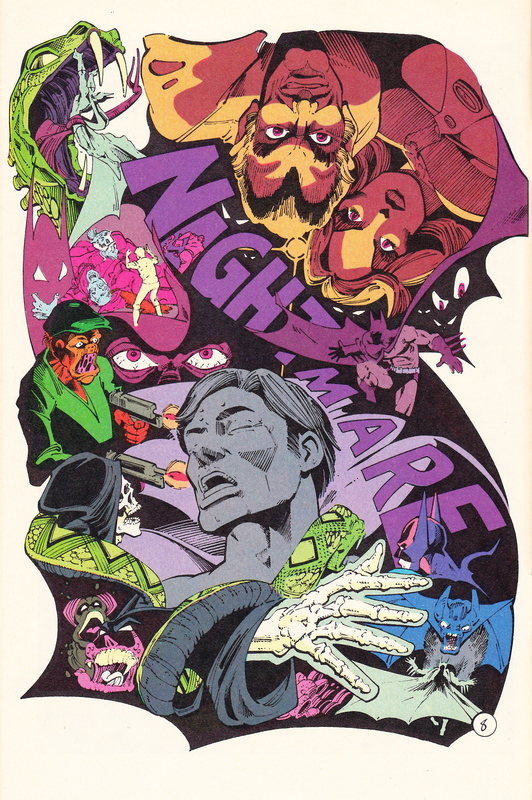 But despite Englehart’s superior work, it was the two-part Clayface story by Len Wein and Marshall Rogers that most stuck with me when re-reading this series, with Clayface cast as a victim more than a villain, hiding like the Phantom of the Opera in an abandoned wax museum, and confessing his longing to a wax dummy. The fire at the end of the tale was an inevitable cliche, but it was a tragic turn and I still felt for poor Clayface. This run of Detective presents stories that are solid and worth experiencing in their own right, whatever you may think of Englehart’s claims to framing the modern milieu of Batman. Rogers’ pencils are still a delight and the Joker story ranks among the best in breed. Read The Reprints: Shadow of the Batman. Jack Kirby originally brought us the Black Panther in issue #52 of Fantastic Four, and this was one of the characters where he was handed the keys upon his return to Marvel in 1976. If you’re looking for the wordy and introspective Black Panther of Don McGregor’s Jungle Action, or the noble and intriguing supporting character from the Roy Thomas’ Avengers run, then look elsewhere. Kirby’s Black Panther is a costumed adventurer caught up in cosmic happenings from page one of this short-lived series, as wonderfully out-of-step with the rest of Marvel’s line as was Kirby’s equivalently bizarre Bicentennial run on Captain America. 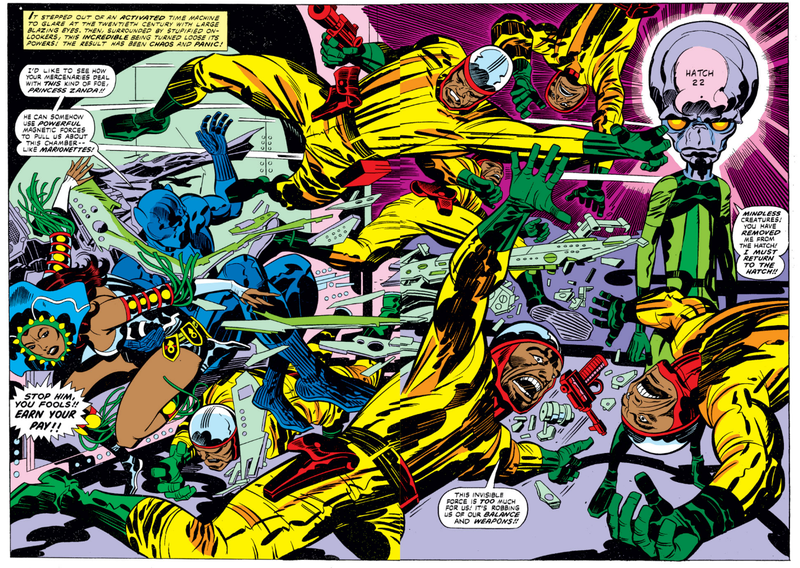 Kirby’s later work is an acquired taste — and it is a taste that took me decades to acquire. Reading his books in the 1970s, I was attracted to the energy, and the action, and the familiar heroes, but put off by stories that didn’t follow the usual rules and certainly didn’t seem to reside in the same Marvel Universe as the other books of the time. This Black Panther run is no different — from the first page, we are through the looking glass, as the Panther and the comical “Mr. Little” encounter a victim of “The Brass Frog,” a time-travel device much esteemed by a mysterious society of collectors with which the Panther has somehow come to be involved. I think that by this time of his career, Kirby was bored with drawing the usual superhero fist operas, and he pretty much abandons the formula here — his Panther is more a witness to events, rather than a protagonist, and the world unravels around him in sort order. Before two issues are through we’ve seen a grim vision of man’s future and had a punch-out with a psychic slayer from the 66th century. It all barely makes sense but many pages swarm with Kirby dots and I personally find it irresistible. 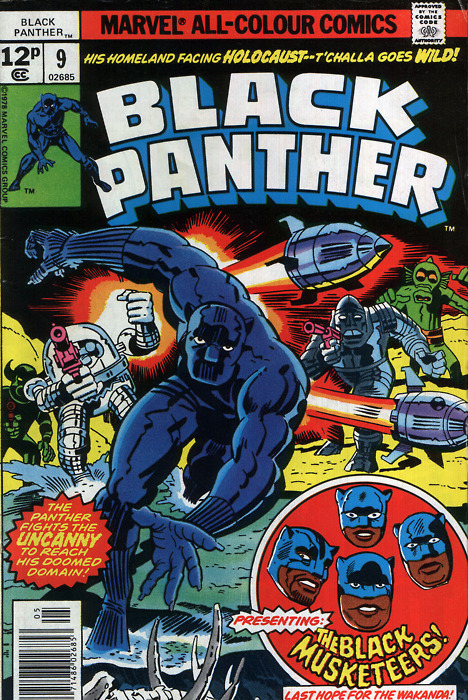 Kirby’s run lasts twelve issues on the book (which would be cancelled after issue #15), and splits into two story arcs — the Panther and fortune-hunters seeking treasures of the past, and a Wakandan civil crisis brought about when T’Challa’s half-brother suffers a demonic transformation from Vibranium exposure. I found the treasure-hunting story more engaging, with an Indiana Jones-meets-Erich von Däniken vibe (about which more below). The civil war series has its moments, but spends too much time with the well-intentioned but embarrassing-in-retrospect “Black Musketeers” characters that Kirby created to flesh out the Wakandan royal family. This is not the Panther’s finest hour — mostly he reacts to events, rather than driving things forward, but he’s kept plenty busy smacking the robots, samurais, aliens, and tomb guardians let loose by his “Collector” companions, Mr. Little and Princess Zanda. 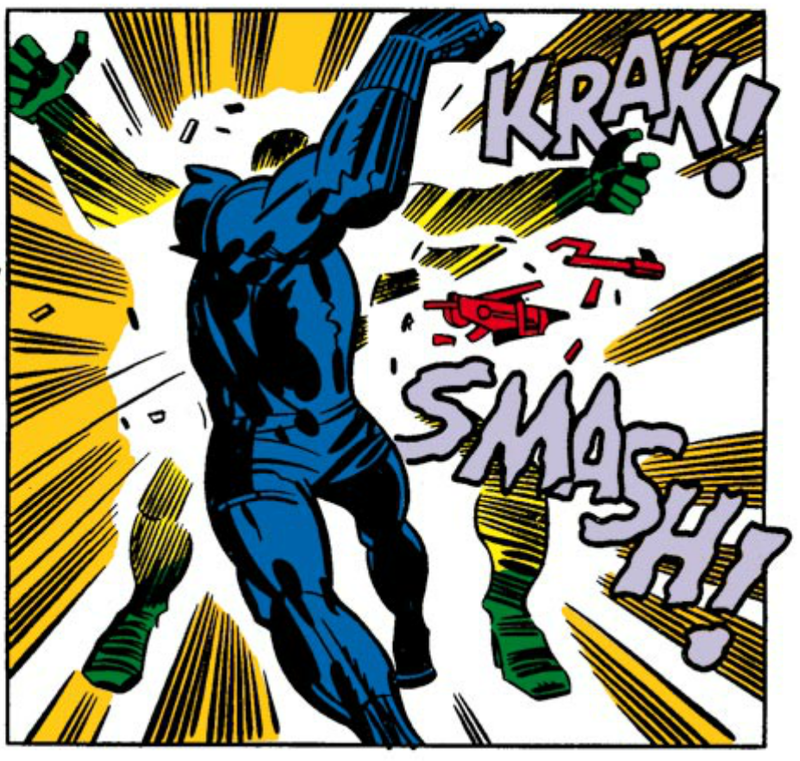 As co-creator of the character, Kirby is due his idiosyncratic take on T’Challa, even if it conflicts with every impression of the character we formed before or since. There’s magic here if you don’t take things too seriously, and for all that the stories are bizarre, the King gives it his all. 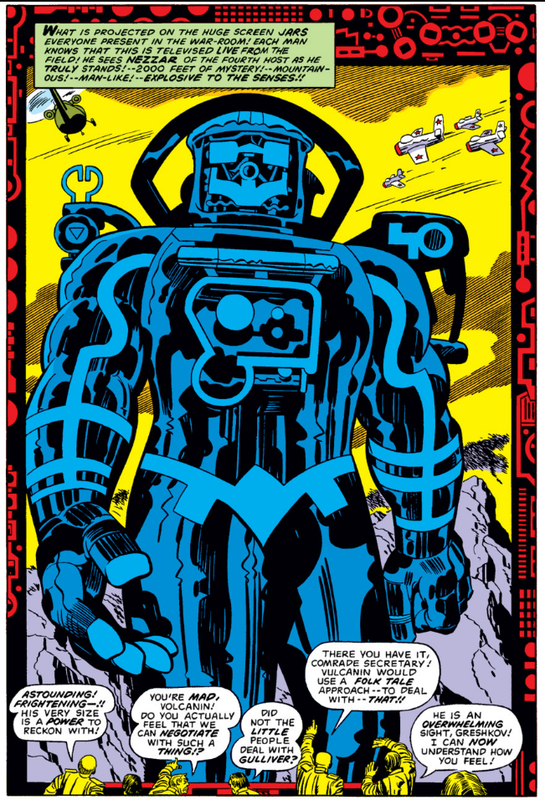 If Kirby’s Black Panther dabbled in the cosmic, Jack Kirby’s original 1970s Marvel series, The Eternals, dove right into a cosmic Bermuda Triangle, leveraging the mid-70s fascination with ancient astronauts to spin a tale of space gods, demi-gods, mutants, and humans thrown together in a crucible of prophecies and end times. Even more clearly influenced by von Däniken’s Chariots of the Gods than was his contemporary work on Black Panther, Eternals is a masterclass in world building from an artist who had for decades made his bones by capturing the cosmic with pencil and paper. Judging by the pace of the story, Kirby must have intended this tale to run a hundred issues or more. 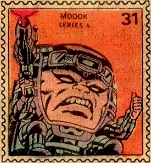 Unfortunately, the series was cancelled after a scant nineteen issues, leaving behind scattered artifacts and clues as inscrutable as Kirby’s space gods themselves. 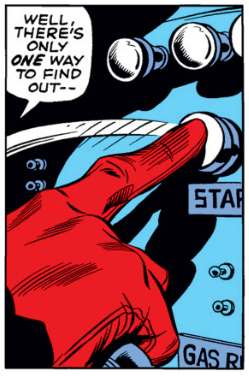 Mostly what we get is Kirby deploying his chess pieces — but what pieces they were! 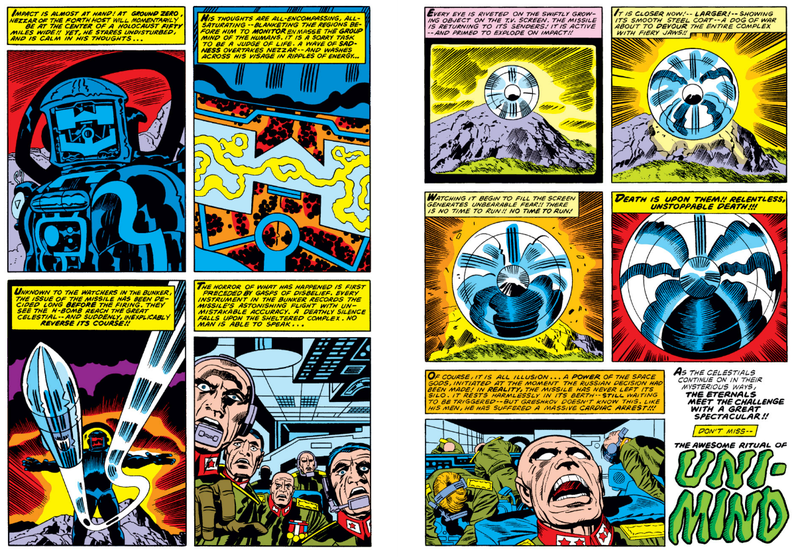 Kirby set out to tell a big story here, and even the generous full and double-page panels he uses in this series aren’t big enough to contain his vision. The series revolves around the Celestials — ancient, gigantic space gods who mysteriously return to earth to judge the human race. It was the Celestials who were responsible for life on earth, mutating primitive life forms to give birth to earth’s three races — we humans, the now-revealed demi-god Eternals, and the demonic Deviants. In many ways this series feels like an extension of Kirby’s work on DC’s New Gods. It is less overtly superheroic and gonzo than that earlier series (no escape artists or Jimmy Olsens here! ), and is maybe a bit less fun, but the concepts are stronger for all that the series lacks memorable characters. Kirby contents himself with Eternals that are paradigms for mythic heroes like Mercury or Icarus, and for his bad guys co-opts ancient Lemuria. His human characters exist only as viewpoint characters for the cosmic goings on initiated by the return of the space gods to earth. None of the characters really resonate — it’s as if Kirby was too intrigued with his cosmic canvas to do more than rough in the characters on his stage — and the series suffers for it. The book is at its best when he concentrates on the enigmatic Celestials, and the human reaction to the “Fourth Host” in their midst. For me the series high point is when the Soviets set out to nuke a space god, with predictable results. We’ll never know where the series might have gone if Kirby had a full run of issues to explore his concepts. 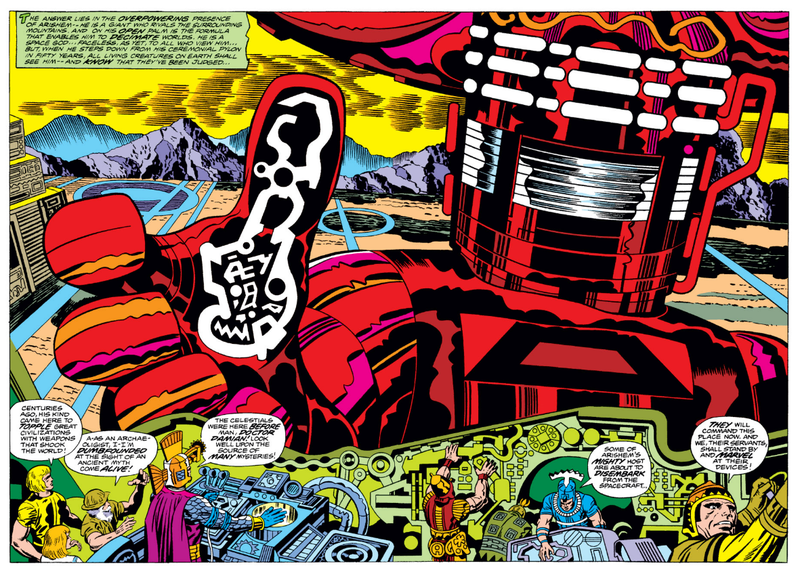 Later writers would bring the Eternals more firmly into the mainstream Marvel Universe, but for such a personal work as Eternals, those books are at best non-canonical, and at worst another example of the commercial exploitation of Jack Kirby’s world-building genius. I prefer to think that the world of the Eternals is still out there someplace, balanced on a knife-edge as Kirby was forced to leave it, with Arishem’s thumb hovering between earth’s salvation and condemnation. That brings us to the end of another Longbox Shortbox! Thanks for reading, and please give me your reactions in the comments section below. And for more Jack Kirby goodness, please check out my review of the first Nick Fury, Agent of S.H.I.E.L.D. story over in my Dollar Box column debuting today at StashMyComics.com! NEXT WEDNESDAY: #52 Longbox Soapbox — Our One Year Anniversary! Posted on June 6, 2012, in Reviews and tagged Batman, Bats, Black Panther, Cosmic, Dark Knight, Detective, Eternals, Gotham City, Jack Kirby, Joker, Kirby, Len Wein, Marshall Rogers, Silver St. Cloud, Steve Englehart. Bookmark the permalink. 38 Comments. I love Bronze Age Batman! Lots of good stories. Even though there were a lot of different creators involved, there seemed to me to be a consistent feel to the 70’s Batman. I believe that Joker story was retold in Batman” The Animated Series. Also, I think I read the Clayface story in The Greatest Batman Stories Ever Told. I have volume 1 of the Kirby Black pAnther TPB, and I enjoyed it. It was a bit like Indiana Jones. Not quite what I expected but enjoyable nevertheless. 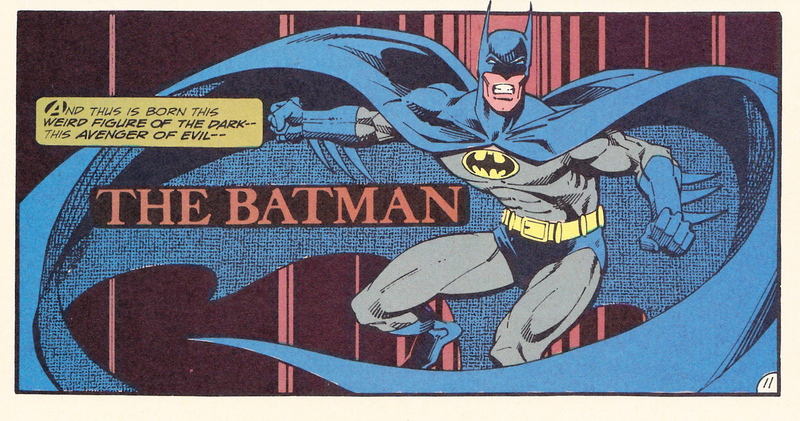 If you like Bronze Age Batman, then check back on July 18th when I’m running a full article on Doug Moench’s early 1980s Batman run, which was kind of the swan song for Bronze Age Batman before Miller’s Dark Knight changed everything. And, yes, that Panther series is a feathered fish but still groovy in its own way. Thanks. I’ll have to check that out! The Black Panther and Eternals books aren’t classics. Nor are they guilty pleasures for me. But, they’re both interesting and it’s Kirby. So I’m compelled to keep them in my collection. I have near complete runs of both. I’m curious about McGregor’s Jungle Action. The little I’ve read, I like. On the shopping list for SDCC. Regarding those Batman books, I was a Marvel kid so I never got those. I wasn’t aware of Marshall Rogers until the early 80’s when he did those Doctor Strange books with Roger Stern. I like his art. I finished out my collection Don McGregor “Jungle Action” Black Panthers last year, but must admit I didn’t much like them. McGregor has a tortured writing style that I found distracting. I did recently finish his Killraven/War of the Worlds run (and a review is coming in August) — I quite liked them, so I will probably give his Jungle Action another shot to see if I “get it” this time. At best, McGregor is an acquired taste, but the original back issues can still be cheaply had so I hope you’ll track them down and let me know what you think. I agree with all of these. The Eternals is a heart-breaker – the concept is so damn good and the first few issues are so promising, with the cutting between various viewpoint characters…and then we get a three-issue fight with a cosmic-powered robot replica of the Hulk built by some school-kids to impress their friends. 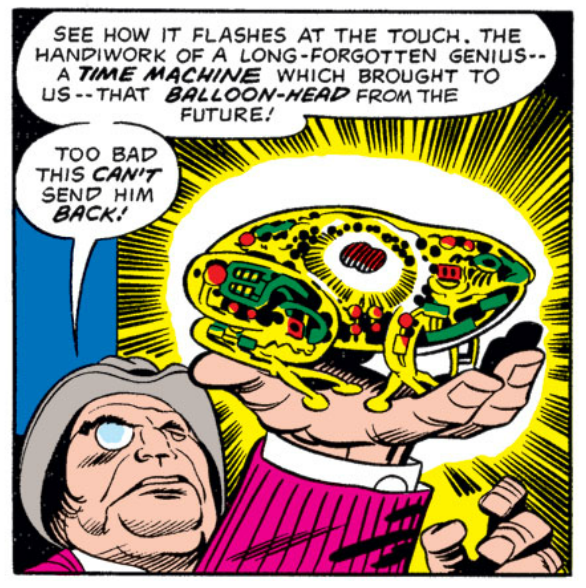 Yeah, it kind of peters out, really, whatever Kirby had intended. But it’s no wonder that people wanted them brought into the MU, because the idea is so cool. Hey, Doc! Thanks for reading and commenting. I hope you’ll become a regular! I have no insight on the origins of that Hulk robot run but I bet it was all about getting the Hulk on the cover to boost issue sales, a way of having the book outside the “Marvel Universe” but eating their cake, too. The book really was ahead of it’s time, it was tailor-made for a limited series format, which would have added some storytelling urgency and trimmed the fat in those first dozen issues, and forced everything to point toward a conclusion of some sort. But even something from Kirby’s wastebasket is worth studying, and I liked the Eternals well enough, for as long as they were around. Those titanic Celestials are worth the price of admission all by themselves. Rogers work looks so different from his 1980s work on early Silver Surfer volume 2. Who is inking – Austin and Giordano the whole time? Eternals has some brilliant issues if you ignore the ridiculous pseudo-Hulk crossover. The Atronauts and The Pyramid were especially awesome. That series got cut right when it was hitting its stride. You can tell from the letters pages that most of the comic book audience didn’t really get it at the time. Same with 2001. Fans of stock superhero drama couldn’t relate – always clamoring for integration into the Marvel U – and it wasn’t being marketed to the real audience, which would be fans of science fiction novels. My database says it was Austin on inks for the whole run. Reading up on Marshall Rogers at Wikipedia just now I see he was an architectural student, which explains his superior draftsmanship. I also see he died at a relatively young age. He was a talent. 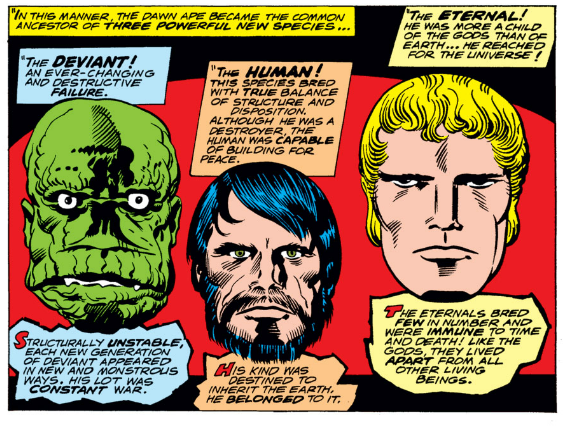 The Eternals was probably doomed from the start, but it didn’t help that Jack Kirby seemed trapped in the past for a lot of the book. The streets are full of men with hats and one of the human male leads is a sixty-something year old professor who is either a pet or a love interest for one of the Eternals. It’s groovy to look at now but I remember finding it entirely out-of-step with my interests when I was a kid. 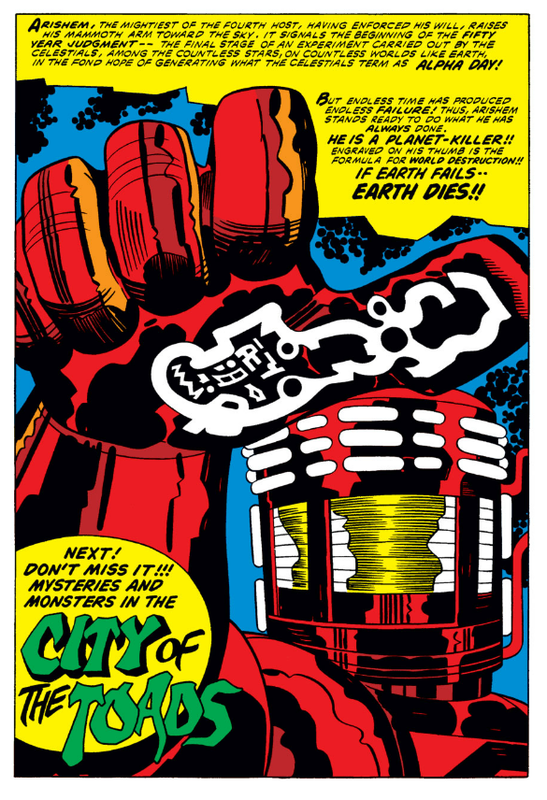 I must say that the Celestials captured my imagination whenever it was that I first encountered them as a kid (maybe the long Thor serial when Roy Thomas brought it all back?) and they have never let go. Also (and this may just be grouchy old man syndrome), as much as I worshipped The Dark Knight when it came out, I now find myself preferring the 1970’s Batman stuff – less posturing and more creepy. I am the grouchiest of old men but I must admit I came away from my recent Bronze Age Batman tour thinking the modern interpretation of the character is the ideal. In almost every other case I prefer older incarnations of these beloved characters, with the Bats (and Captain America) I have to admit the modern spin is superior, at least for me. Still plenty of good stuff and nostalgia in past versions, though! Great shortbox diving. I have great affection for the Englehart-Rogers-Austin Batman stories. Englehart and Rogers also teamed up to relaunch Kirby’s Mister Miracle around the same time, but Rogers’ pencils weren’t as sharp as they are on Batman. Austin’s inks are a tremendous help on Batman. I met Rogers once at a convention in New York (either 1978 or 1979) and he was very nice, and full of complaints about the coloring on his Batman work, which I thought was excellent. Englehart and Rogers did a sequel a few years ago called Batman: Dark Detective and I keep meaning to go look for it. It seems like Rogers was heavily dependent on a skillful inker. I remember that Mister Miracle series, too, actually I think it was my first introduction to the character, as I missed the Kirby Fourth World stuff the first time around. I’ll have to dig for it. I’m usually such a stickler for consistent characterization and a literal translation of comicscontinuity when it comes to new media – which is why I absolutely HATE X-Men: First Class – but for some reason, Batman is exempt rom this rule. Probably because he’s thrived as so many disimilar interpretations over his 70+ year existence. That said, I’m definitely no Bat-historian, but based on the image of the Joker affixed in this, its Jack Nicholson I see there, so maybe there is some truth to Englehart’s claims. I think it points to the essential genius of the character that it has stood up to so much reinvention these past eighty years. There’s enough to Batman’s core that the character’s basic values remain intact while all the ephemera — the costume, the storytelling style, the tone — can change with the times. It’s quite a trick and because it happens all the time with comic book characters (with varying degrees of success), we comics fans tend to take this kind of thing for granted … but consider the mixed results characters from the same era have had in being reinvented for film. Tarzan, Lone Ranger, Robin Hood, Buck Rogers … these characters continue to come around but none of them have been as resilient or successful in translating themselves across the ages as Batman. Great article! I love the Batman stuff, and that is absolutely one of my favorite Clayface stories, right alongside Alan Moore’s “Mortal Clay.” Clayface gets overlooked a little too much. I’ve not really been a Marvel guy in my short time reading comics, but after this, I’ll have to check out that Eternals run and some of that Black Panther. My buddy was always a big fan of BP, and I just never got around to reading much. Thanks for including my post in the related articles section, too! Glad to know people from all over are reading. The Bronze Age Batman stuff really influenced me as far as what Batman is about. I recall getting a book called Untold Tales of the Batman in like 1988 that introduced me to Hugo Strange and Silver St. Cloud. I didn’t hear from them again until a few years later when I got heavy into collecting, but the tone stayed with me. I think Byrne did that, but it really was laid out a lot like Rogers would have done it. Kirby’s later stuff amazes me as much as his older FF stuff. I know that makes me in the minority here, but it almost takes on a “Sgt. Pepper/Revolver” feel in that when the Beatles made those records they had established themselves as kings of their craft, both commercially and creatively. Kirby was in the same spot. he had already (co) created Captain America, Sandman, New Gods, the Fantastic Four, Thor, Nick Fury, Black Panther, the X-Men, Hulk, Fightin’ American, and so on and so on. He had proven he could do it one way; now he wanted to test the very limits of what could and could not be done. Too bad more folks didn’t get behind it. Can you imagine what the King had planned for us if The Eternals or the New Gods saga would have come to their conclusion? Eternals and New Gods both were just slightly ahead of their time. 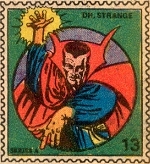 By the mid-1980s, the direct market method of comics distribution opened up the 12-issue limited series format, which would have suited both series admirably. Eternals (especially) would have benefitted from the urgency that a limited series provided. I’ve come to enjoy those 1970s Marvel Kirbys, but at the time, the fourteen-year-old me found them old fashioned and out-of-step with the Marvel style I’d been trained to enjoy. Looking back on it now, without trying to fit those books into the context of the rest of the Marvel line, I quite enjoy them. But at the time the rated a disappointment. I have basically showed everyone I know that frog that Kirby drew; to a person, they all find it amazing. Even my pals who don’t like comics took a look at that and the other Black Panther drawings, and other than the Black Musketeers, they were all intrigued enough for us to talk about Jack Kirby, a guy they had barely, if at all heard of, for about an hour. See what your blog can do even for folks who don’t know or like comics? Respect the Frog, man. Respect. The. Frog.